Ghost Games in a collaboration with EA published new Need for Speed: Rivals trailer at the end of the last week. The video shows the gameplay of the future project and reveals AllDrive system - the game's innovation that allows erasing the borders between single-player and multiplayer gaming. AllDrive system will be the new way to play Need for Speed. You can be a racer or a cop, who plays alone, but even in the single-player you will be able to meet other real gamers. The strange guests may, for example, help you to chase the street racer, or vice versa may play against you. 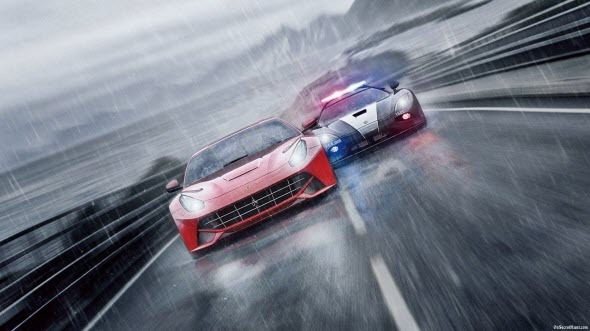 But the developers are emphasizing that Need for Speed: Rivals is a game that is created for playing alone, and so if you don't want to see the other gamers while playing, you can switch AllDrive system off or limit it allowing only your friends to join your single-player game. However, this feature will bring a breath of fresh air in the famous racing simulator. How do you like this innovation? Would you like to see the other gamers in your single-player game? Write your opinion in the comments below.